The Ohio State University Center for the Study and Teaching of Writing (CSTW), a multi-faceted center with distinct, but complementary components, focuses on ways to improve the quality of the written word and ways to teach it more effectively. Its programs serve a wide variety of constituencies, both on and off campus, while emphasizing student needs. Writing, reading, and speaking are complex intellectual activities crucial for participation in academic, professional, and public life. Students and other writers need support to negotiate the complex rhetorical demands of writing in a variety of settings and media. Partnerships with youth, teachers, and researchers create opportunities for networking, collaboration, and scholarship. Offers free help with writing at any stage of the process for any member of the university community. Each year, it offers 4,000 tutorials—half are taught by grad students—many of the tutorial students are students with 2nd and 3rd languages. Gives students skills and experience in producing and exploring new media. 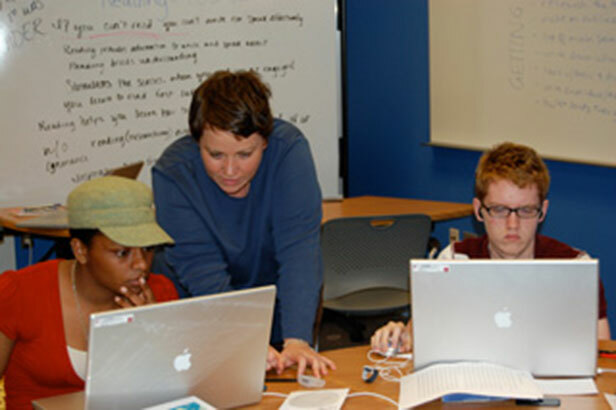 Students do actual work on collaborative, team-based projects: Free Student Teaching Consulting Service; Writers Talk; Digital Media in a Social World Conference; Sponsor PodCamp Ohio, public technologies for Internet communication. Prepares students to address the various kinds of writing needed in today’s digital-age workplace, gain meaningful hands-on workplace experience, and add valuable credentials to their resumes. CSTW’s minor in professional writing is a national model program. Supports teachers from all disciplines who use writing in their teaching; collaborates to develop innovative approaches for writing instruction; explores best practices and shares research on how writing can be a powerful tool for teaching and learning; finds ways for people to discuss work to understand its value. CSTW outreach fosters literacy in the community through projects in public schools and community centers. The focus is on writing and literacy, understanding that people write throughout their lifetimes and in a variety of settings and that being a skilled writer can help anyone achieve their goals and participate more fully in public life.